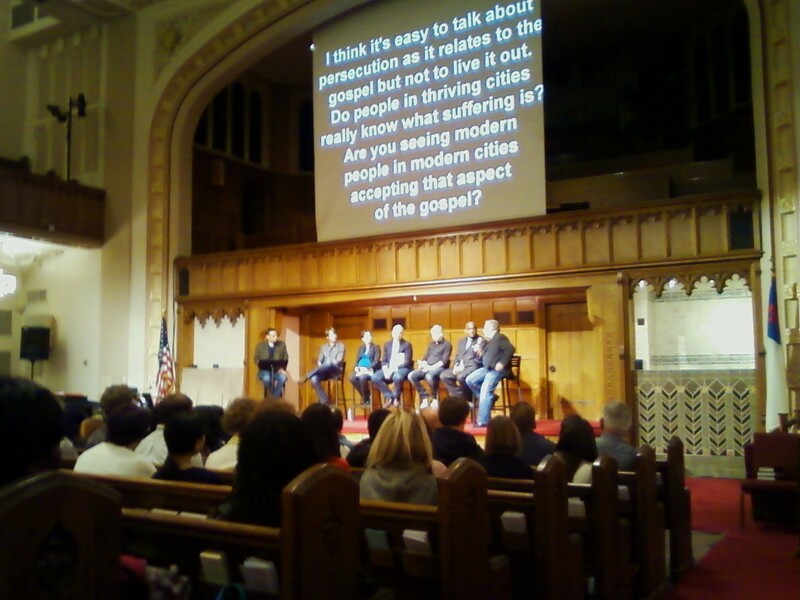 Tonight Carol and I went to an event by The Lausanne Movement called 12 Cities, 12 Conversations. It's essentially a panel discussion that talks about the role of churches in cities like New York. The 12 conversations lead to one enormous gathering of Christian leaders from all over the world in Cape Town. So in some ways tonight's event was like a miniature model of the real thing. But there are a lot of observations you can make from miniature models. Tonight, Tim Keller of Redeemer Presbyterian Church inferred that cities are like magnifying glasses that cause us to see the very best and the very worst in situations, things and people. So very true. With people literally living on top of each other, we tend to bring out the very best and the very worst in each other, or at least that dynamic makes it much harder to hide. so inspiring. a great reminder to live for Christ with confidence in the gospel!